Oracle Business Intelligence Enterprise Edition (OBIEE) is Oracle’s main middleware platform for Business Intelligence and analytics and according to Oracle’s Road Map for BI and EPM will continue to be the main platform for many years to come. Oracle Business Intelligence Enterprise Edition is the organizing platform for medium to large scale onsite implementations. Vlamis has been at the leading edge of OBIEE for more than 10 years and has led hundreds of implementation, assessment, and development projects. We’ve been intimately involved in the 11g, 12c, and BICS beta programs, participate in several invitation only partner and customer advisory boards, and work closely with Oracle’s BI Product Management team. We’ve presented more than 100 sessions at major conferences on Oracle Business Intelligence and continue to develop core training curricula for the IT industry as well as custom courses for individual corporations. We’re also authors of the Oracle Press book titled “Data Visualization for Oracle Business Intelligence 11g”. The ability to leverage the full power of R language processing through both a transparency layer for in-database processing and through the ability to programmatically control R engines on the database server machine. SQL Developer’s Data Miner GUI for drag-and-drop development of predictive analytic workflows. Full Oracle security for important and sensitive data. A scalable, safe, performant platform for analytical and statistical processing. Interested in Oracle Advanced Analytics? As more data and more systems move to the cloud, the need to analyze information in the cloud using sophisticated toolsets increases. Oracle's BICS is a new generation tool that provides both the familiar interface and capabilities that thousands of organizations rely on along with cutting edge capabilities that they know they'll need. 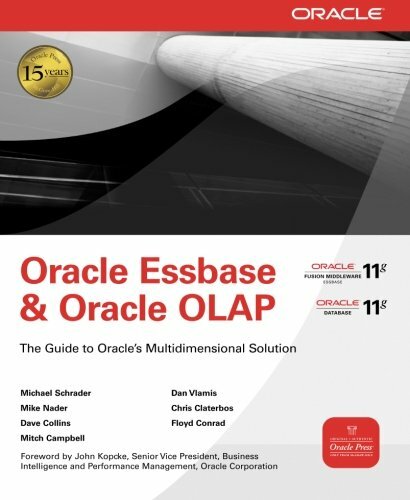 Oracle OLAP is the multi-dimension option for the Oracle Database that facilitates the storage of information in dimensional arrays or "cubes". Vlamis is recognized as the leading expert consulting firm on Oracle OLAP implementations. Oracle OLAP has numerous advantages in Data Warehousing implementations and is ideally suited as a "data warehouse accelerator" and analytics engine. Oracle Data Integrator is a comprehensive ETL platform that covers all data integration requirements: from high-volume, high-performance batch loads, to event-driven, trickle-feed integration processes, to SOA-enabled data services.